BRAINS! 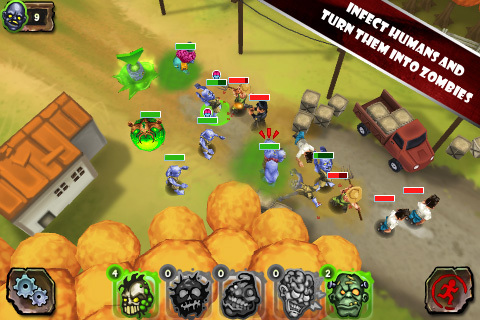 Cross over and lead your army of zombies to victory against the humans in Zombie Revolution. Rise up from the grave and fight back! Our zombie way of life is under attack and we must rise up and band together to save our world. Humans have a filthy obsession with flowers and cleanliness that is killing us…again. 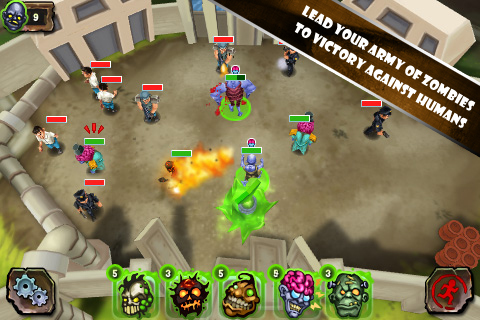 Gather up to 6 different kinds of zombies for your army of the living dead. 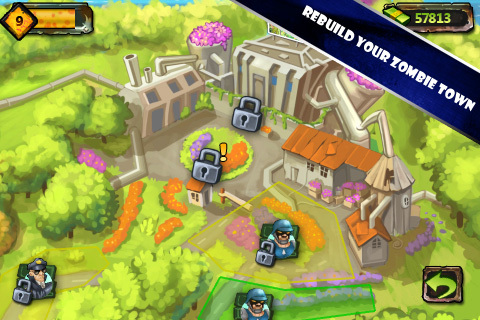 Destroy 4 different human types as you work to rebuild your zombie town. Viva la revolution! Zombie action awaits!! 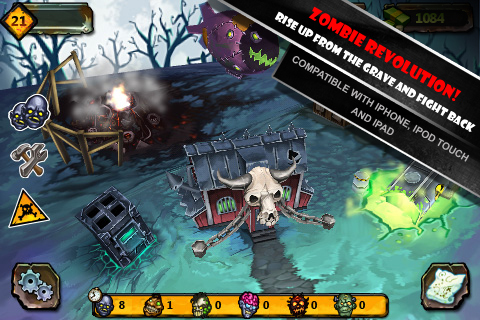 Now pick any iphone, ipad or ipod touch and lead your army of the living dead to crush the race of humans with larger than life and high quality performance! 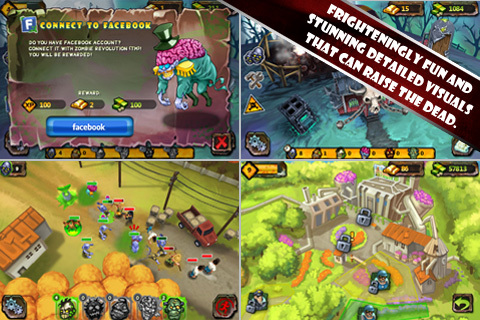 -Facebook connect – Let your friends know your Zombie Achievements. -Saving and loading speeds are more better. Show your love and please consider updating your rating of our game to 5 stars. Many thanks for all the incredible feedback!